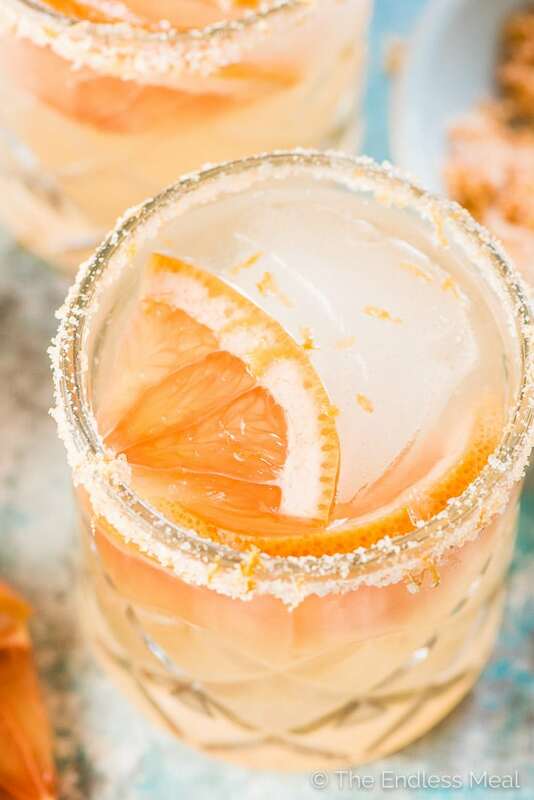 This delicious Grapefruit Margarita recipe is similar to a Paloma only it's made without soda so it's not watered down. Mexico's favorite tequila cocktail just got even better! It's margarita time! Again. I've got my fingers crossed that you love a good margarita as much as I do. This is the fifth margarita recipe I've shared with you and it wouldn't take much convincing to send me back to the kitchen to create more versions of our fav tequila cocktail. 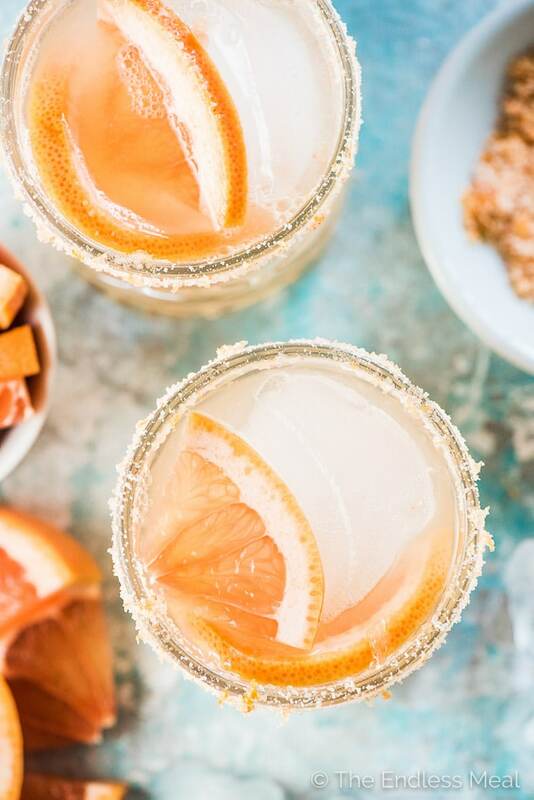 This grapefruit margarita is all things summery, light, and refreshing. 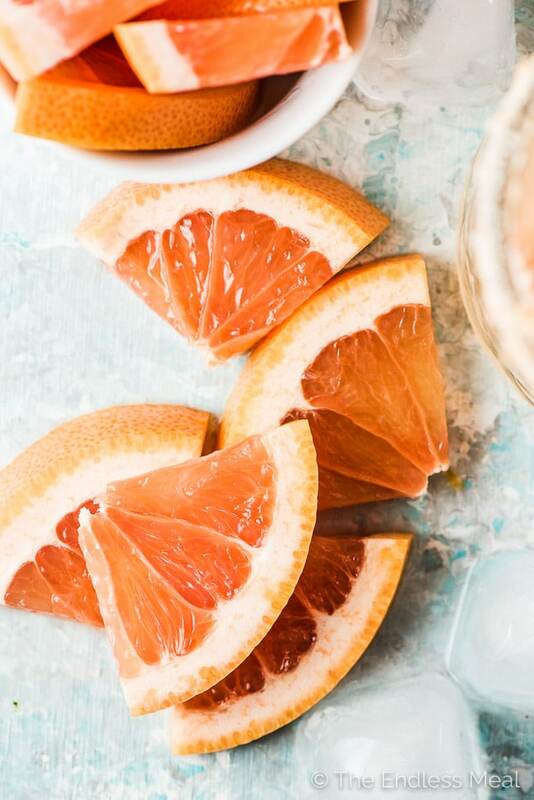 Sweet pink grapefruit juice and tequila are meant for each other. The grapefruit tones down the flavor of the tequila, which is great if you're serving these to friends who are on the fence about tequila. You might win some converts! You don't actually need to throw a real party, but life will feel like a party with one of these in your hand. Hello, happy! Pink grapefruit juice and that sweet/ tart combo that makes it irresistible. I squeezed mine by hand (cause I'm a total nerd) but you could easily buy it from the store. Just make sure you don't buy a bottle with sugar added to it. Tequila. I must be part Mexican because my love for tequila is strong. Also good to note: many paleo gurus recommend drinking tequila (in moderation) if you want to have a drink. 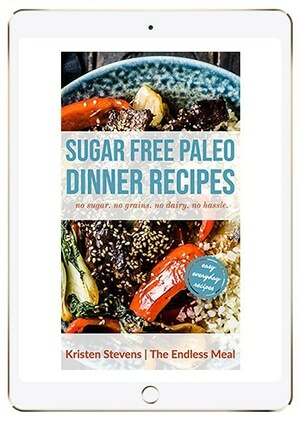 Bring on the paleo margaritas! 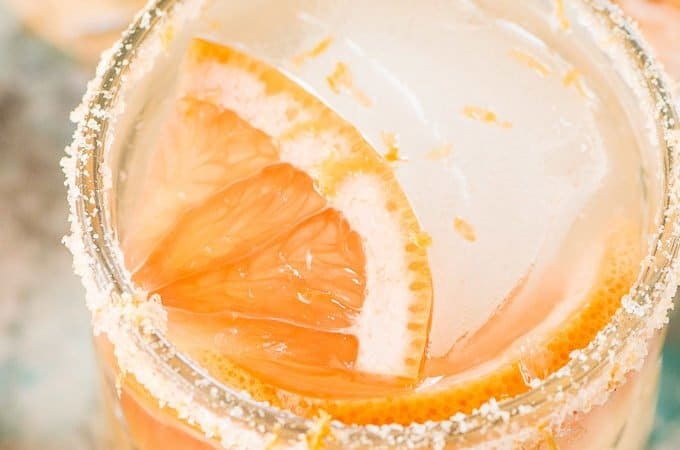 The first time I shared this grapefruit margarita recipe with you was back in 2012. I've made it several times since and (I think) perfected the recipe. I originally made it without lime juice. When I was recipe testing we found we liked the version with a combination of lime and grapefruit juice better. Sidebar: I sometimes have to give my head a shake when I realize my job involves taste testing margaritas. Seriously, how awesome is that? And thank you for reading my blog so that I can keep testing margaritas for a living! I also decided to swap the traditional simple syrup for either honey or agave simple syrup. The honey version lets the grapefruit flavor win while the agave version is a great choice if you're serving this to someone who is vegan. I could almost believe it was summer today, feeling the sun pour in my windows and warming me up. That was until I went outside. This time of year always feels like a tease. It is so close to summer that I want to take out my summer dresses, put on my sandals and leave my jacket at the door. Of course, if I actually did that I would freeze to death. Last week for Cocktail Fridays I did my best to encourage summer to hurry up with this Strawberry Basil Mojito. The sun's been shining all week, so maybe it worked. Fingers are crossed that all she needs is another sunny summer cocktail, and she'll stick around till October. I have a bit of an obsession with grapefruit; I eat one almost every morning. I also have a bit of an obsession with margaritas. No, I don't drink one almost every morning. Perhaps I should; they're delicious. 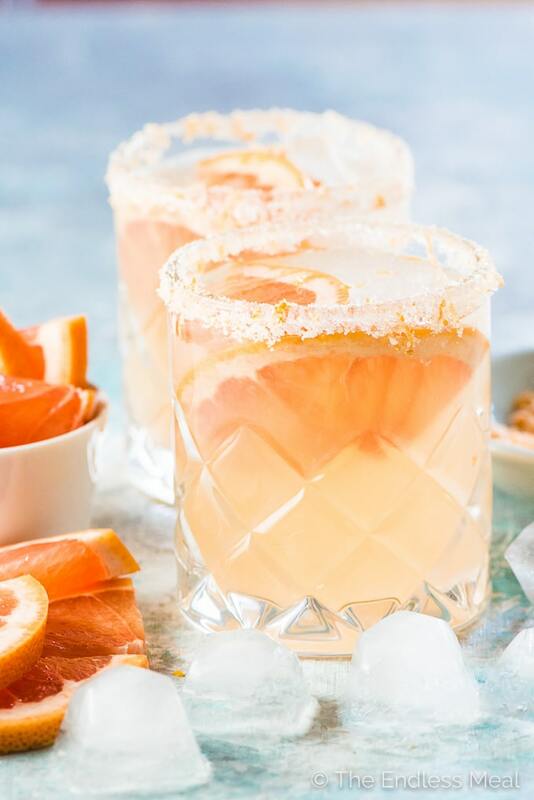 Grapefruit margaritas are super similar to a regular margarita only they replace the lime with grapefruit. Hello, delicious cocktails! Wet the rim of a glass with a cut piece of grapefruit or lime. Pour some salt on a plate and dip the wet rim into the salt. Fill the glass with ice. Fill a cocktail shaker or mason jar with ice then add the tequila, grapefruit juice, lime juice, and simple syrup. Shake until cold then strain into the prepared glass. Garnish with slices of grapefruit. Add the agave or honey and the water to a small pan over high heat. 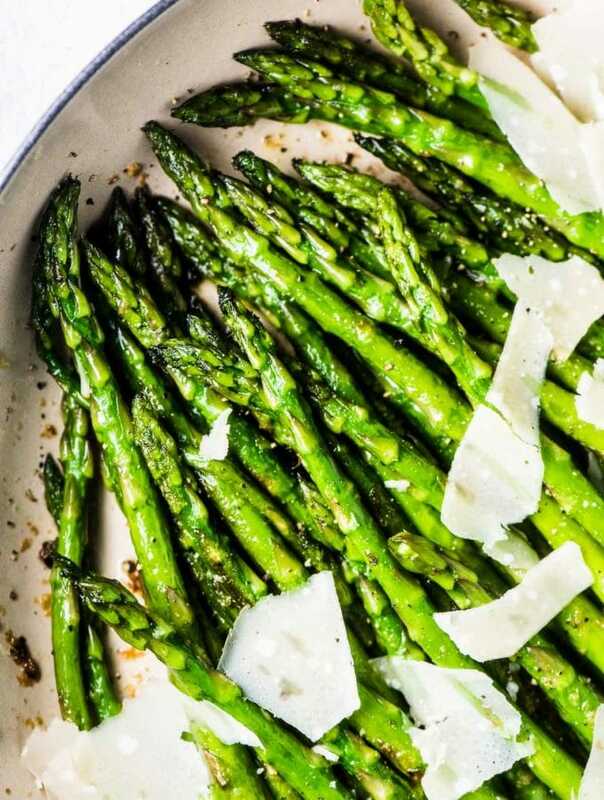 Stir until the agave or honey dissolves – you don't need to let it come to a boil. 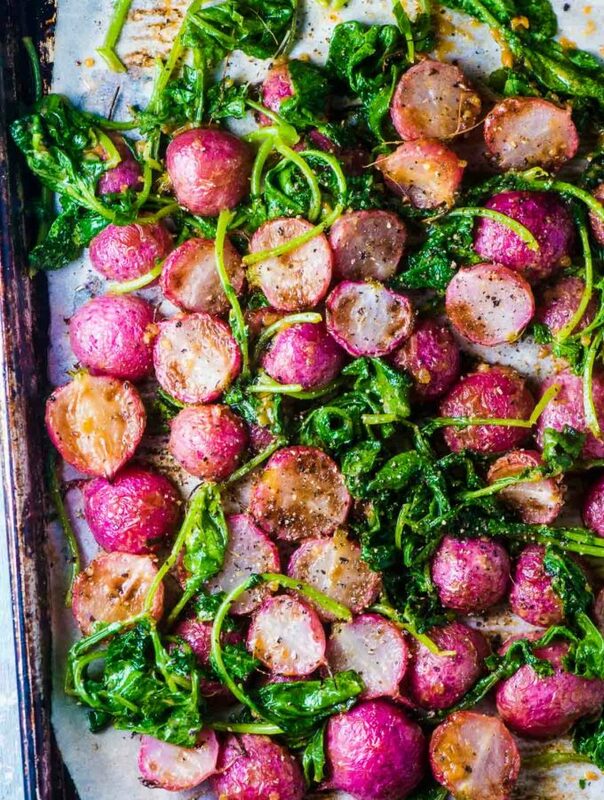 Store the extra in a jar in your fridge for up to a month. 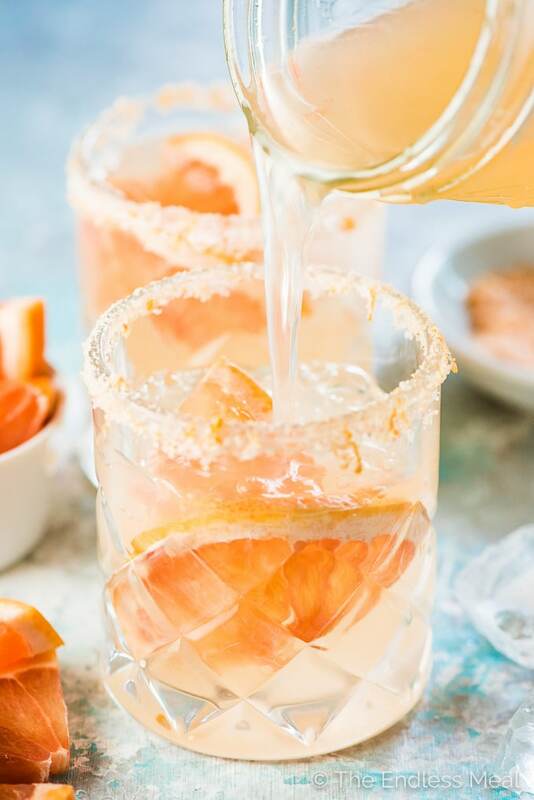 Make a pitcher of grapefruit margaritas by using cups instead of ounces: 2 cups tequila, 1 cup grapefruit juice, 1 cup lime juice, and 1 cup of simple syrup. Add the ingredients to a pitcher filled with ice and slices of grapefruit and stir. This was such nice change. We love margaritas and it’s fun to switch it up once in a while. Will make these again! Nice to meet a margarita lover! So happy you like this version! Oh snap! I should MAKE THESE TODAY for our BBQ LOL!!! People would be getting nicely PLASTERED! I like the way you think, girl! Happy 4th of July to you!! I think you should caution people that grapefruit/grapefruit juice can interact with many medications. You should check with you pharmacist or doctor before trying any recipe with grapefruit in it. You are absolutely right! Many medications and grapefruit do not mix well together. Oh Yum! It is so hot in the Caribbean and that would be so refreshing! I have to make this soon. Sounds so good! I’ve been hunting for good mixed drinks recipes for a Mad Men party and, while these seem way too fresh and happy for Don Draper, I might just have to make them! Nice combo of flavors! I love grapefruit, I love margaritas and I love Grand Marnier. Great post! The addition of the soda stream carbonation is a nice touch. I really like a little fizz in my margaritas and soda stream is definitely the way to go. So much better for the environment and your pocketbook! I share the grapefruit obsession! These are beautiful!! They’re really the best things ever!